Finally some sunshine!!! I have been loving this sunshine we have had the last day or so. I went to my best friends baby's christening yesterday which was lovely, as the sun was shining and was such a beautiful ceremony and he just looked adorable in his outfit. Did you guys get up to anything nice over the weekend? So today I'm going to be talking about the latest face mask that I have been trying out, as I do love a good old face mask. I do have some trouble areas on my skin which I would love to get a magic wand and just make disappear but that fairy god mother doesn't exist unfortunately. 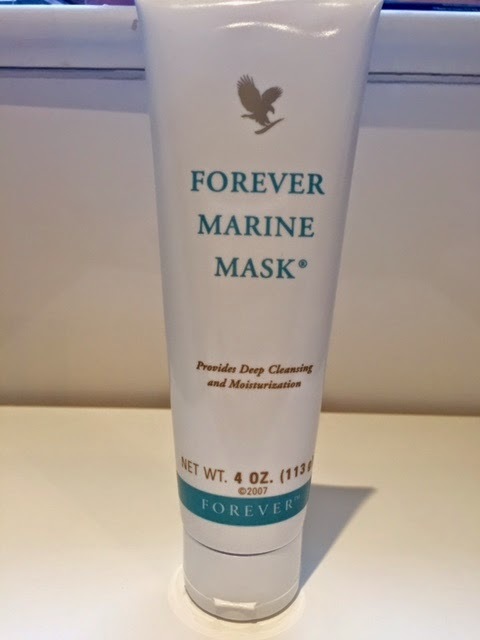 However, I have found a close match which is my Forever Living Marine Face mask. 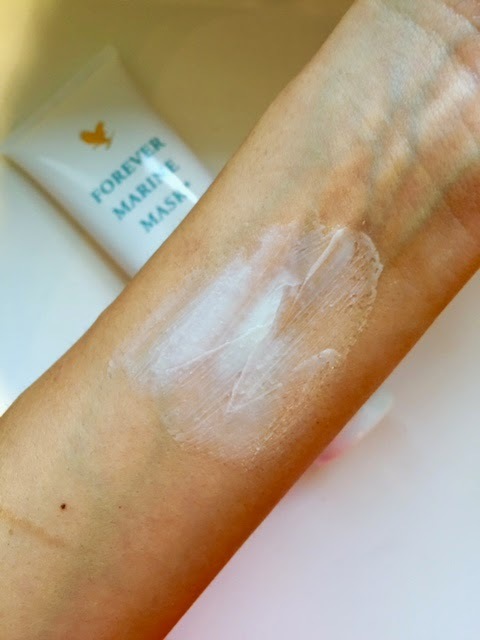 I have used a few Face masks before and the one I blogged about before was the Glam Glow mud treatment, which I thought was very good at the time yet a little to expensive for weekly use. So I purchased the Marine Mask on a whim just to give it a go as I am loving my Aloe Vera face and body soap and makes my skin feel so soft and gentle. When I first used it and squeezed it out of the tube, I was slightly sceptical and it was not what I was expecting as the consistency was just slightly thicker than their moisturises but I thought I'm sure it will be fine so applied an even layer all over my face but leaving out the eyes. As the product is not that thick it is really easy to apply and does not start setting straight away so you always have time to even it all out. I left the mask on for 15-20 minutes, I know this seems like a long time but I was doing house work at the same time so there was no time wasted. As you can see from the pictures about when you have left if on for 15-20 the colour changes and goes translucent so you shouldn't be able to see it on your face, which is quite nice cause as you don't look so scary as when you normally put masks on. When its time to task it off, I just ran some warm water and rinsed it off as I would normally with soap and It didn't take too long to take it all off and then just towel tried my face. 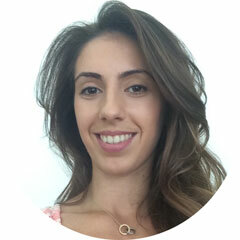 When I chanced my skin in the mirror I was so pleased with the way it turned out, my pores had been completely reduced and my skin tone was even all over it looked as though I had BB cream on. 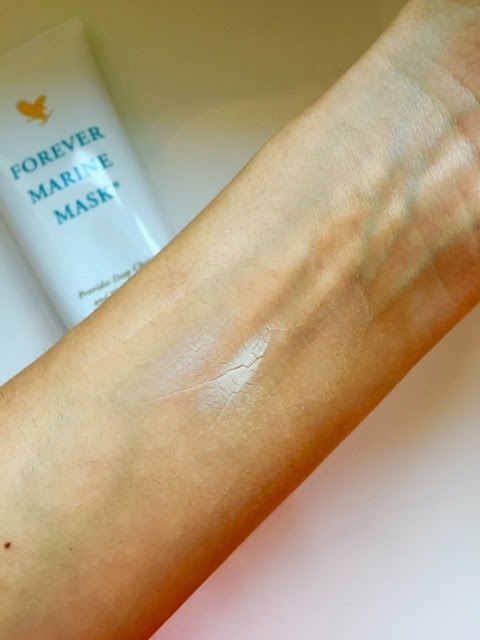 The ingredients to this product have such a great health benefits such as Sea Kelp packed with vitamins A and E with lots of Iron and helps prevent the loss of elasticity in the skin keeping it looking young and fresh. Also in the product is Algae which has great vitamins, keeping the skin hydrated a keeping away all the bad bacteria which we come into contact with every day. I hope you have enjoyed this post, and do let me know which face masks have worked best for you.